Our brewery, taproom and beer garden is located in the Downtown East neighborhood of Durham and our beers are distributed throughout the state of North Carolina. Our beers are offered in many more cities, restaurants, bottle shops and bars than appear on this list! From that passionate little beginning in 2015, a forward-thinking brewery and taproom has hatched. Our 6,000 square foot brewery specializes in a combination of traditional and experimental American, Belgian and European style beers, yielding an approach that can be described as forward-thinking and backward-tasting. 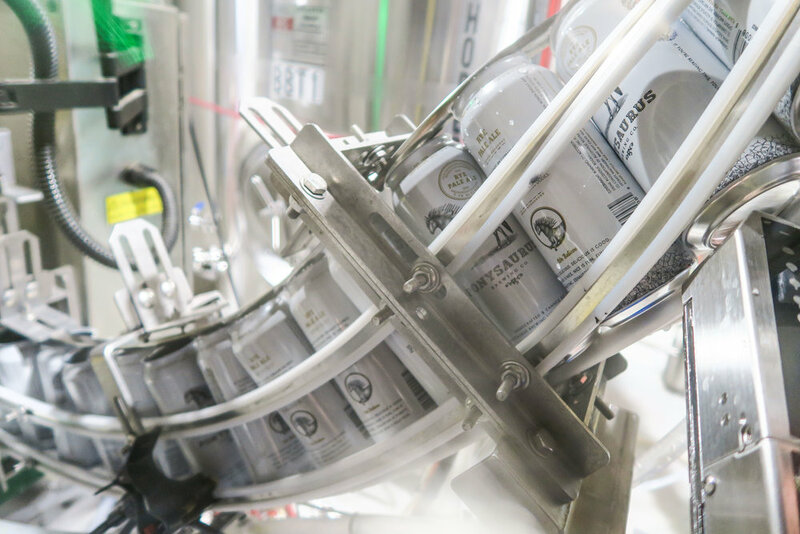 Operating from a fifteen barrel brewhouse, the production facility is equipped with a state of the art lab, a full time lab technician that carries out a comprehensive sensory analysis program, advanced fermentation technology, and a Wild Goose canning line. We are Ponysaurus Brewing Co. The beer beer would drink if beer could drink beer.